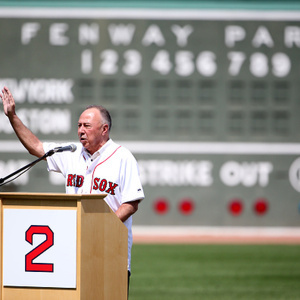 How much is Jerry Remy Worth? Jerry Remy net worth and salary: Jerry Remy is a professional sportscaster and former professional baseball player who has a net worth of $15 million dollars. Jerry Remy was born in Fall River, Massachusetts, and grew up in Somerset, Massachusetts. The California Angels baseball team drafted him in 1971. He played in the Minor Leagues for four years, and then played for the Angels from 1975 to 1977. He was traded to the Boston Red Sox, and started the 1978 season with them. It proved to be a fortuitous trade, and he went to play for the Red Sox through the 1984 season. He was prone to injury, and the Red Sox ultimately chose to release him from his contract before the start of the 1985 season. After retiring from professional play, he began working as a sportscaster and currently provides color commentary for games on the New England Sports Network. He also owns multiple sports bars around Boston.